We design creative, inspired, and seamless event experiences. We are dedicated experts who live and breath events. We understand the importance of producing seamless live brand experiences. We believe that a successful event can cut through the clutter of ordinary and shed the light on the extraordinary. Our team is passionate about creating atmosphere through innovative event design. From Alice in wonderland to a neon jungle we have trnasformed rooms and blown minds all over Australia. Our team has worked closely with several specialist production companies over the past 15 years and have garnered a firm understanding of all aspects of event production. We understand the technical requirements and have hands on experience on all aspects of production from large event builds to lighting and AV plots. We understand the influence and importance of live brand experiences and have worked alongside many clients to deliver impactful and engaging consumer focused events. 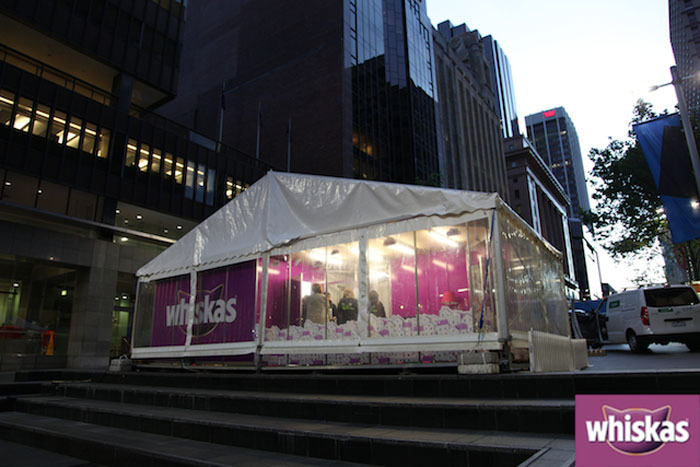 From designing a interactive kitten house in St Martins place to a live to air broadcast of a NRL match Million Dollar Kick we connect brands to their consumer by creating unforgettable moments.